It is only March, but Derek has already been to Hong Kong twice this year. Once in early January, and again most recently over Chinese New Year. They were only short trips, but for someone like Derek, this is what normal life looks like. In the coming months of 2019, he will take at least another 10 more trips, his annual leave strategically positioned to exploit all our upcoming public holidays. His friends, like you, have all thought the same thing: how does he even afford this? How does he keep his job? What’s with the compulsive travelling? Is his life in Singapore that bad? Some people plan their holidays months in advance, anxiously checking flights for the best prices and planning their itinerary down to the nanosecond. Others, like Derek, are on the other end of the spectrum. They’re the ones who have their data roaming plans activated 24/7, who literally just grab their passport and go. Funnily enough, as much as we love Singapore for what it is, it seems that as soon as we get a taste of life beyond our shores, going back to our regular lives can feel a bit … odd. As hard as we try, we can never quite replicate that rush of endorphins we feel whenever we get off a plane and step on foreign soil. It’s addictive, almost like a drug. But why? What is it about travelling that keeps us going back for more? Is the stereotype of the 9-to-5 worker who just can’t wait to escape to a different continent true for all of us? The main appeal of travelling, to me at least, is that it forces us to look inwards, giving us a chance to go on a journey to the very core of who we are. Perhaps deep down, I wonder, we all just want to be better people? Derek agrees. And while his lifestyle may be a little extreme, at the heart of it, he argues, this is something we can’t quite do while we’re here. Creating that physical distance, for whatever mysterious reason, allows us to disconnect in a way that going on a staycation doesn’t. Overseas, we discover who we are or were before we were busy with work. Immersed in a different culture with people who speak a different language, we find new ways to both adapt and appreciate our new surroundings. Through largely hand-gestured conversations with strangers, we realise how patient we can be. We learn how to think on our feet when help isn’t so readily available, and risks are taken in the spirit of adventure—something we might not have the luxury of doing back home. By trying new things, we discover new interests and in the process, reaffirm our personalities. Our confidence grows. It adds up to us feeling alive again. 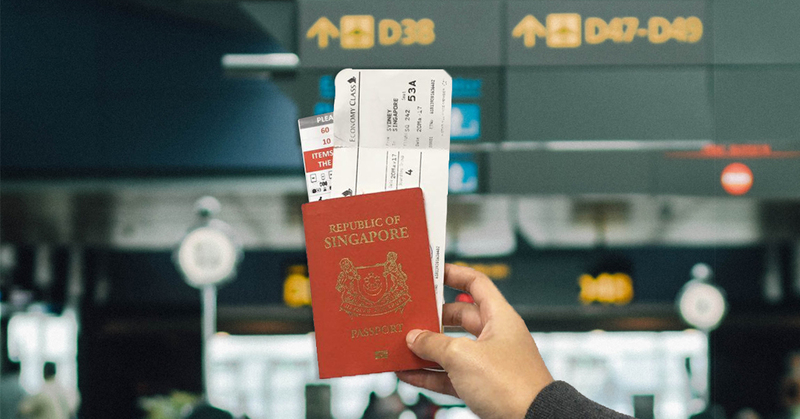 Often, we learn things we never knew about ourselves, and this brings with it that feeling all compulsive travellers know: coming back to Singapore and feeling like you’re seeing everything for the first time again. Of course it’s hard to ignore the fact that life in Singapore, like any other first-world city, is stressful. A typical career post-graduation often looks like this: monthly KPIs and targets have to be met; clients request proposal after proposal; pressing deadlines loom over us causing restless sleep (if we even sleep at all). With so much to do in so little time, we never truly feel rested. Granted, these are all universal challenges faced by everyone trading their time and abilities for money, but when worries of BTO prices, retirement planning, and the rising cost of living are added to the mix, life in the lion city can and does get pretty overwhelming. 29-year-old Liz works in digital marketing and handles a few regional markets. She tells me that her bi-monthly plane tickets serve as a sort of pause button on life. “Life here is tough! Everything moves so quickly and there’s so much pressure with no time to take a break,” she says, surprising me with her upfront candour. Liz knows her work will still be waiting for her when she gets back, but taking a trip to a place far from everything that’s familiar is exactly what’s needed for her to decompress. Whether getting drunk on Bloody Marys before noon or taking full advantage of the exchange rate to spend one’s hard-earned money on random crap, putting our responsibilities on hold for a bit helps us recalibrate. 31-year-old Isaac describes a moment he experienced once while travelling. At the top of Mount Kinabalu in Malaysia, as he watched the sun rise, it occurred to him that it’d been a few weeks since he last spoke to his mum. As he looked out into the distance, the roughly hewn peaks bathed in a heavenly glow of orange, he FaceTimed her. Nevermind the mild regret that came later when he saw the data charges; in that instance, he understood what mattered to him. And it would not have happened, he believes, if he had not gone on that trip. These days, thanks to Instagram and Snapchat, we now, more than ever, get to see what life on the other side of the world is like in real time. It’s often easy to be cynical about these moments that capture life in all its romanticised glory. Yet there’s truth in them. Because these images come from trusted friends (so they’re not always #filtered) and not the glossy pages of some travel magazine, we know just how much we too need to leave just for a little while. After all, we too want to make sure we’re living life to the fullest and have a cool travel story to share with friends as a result. But what is a good travel story without a refreshing dose of reality? 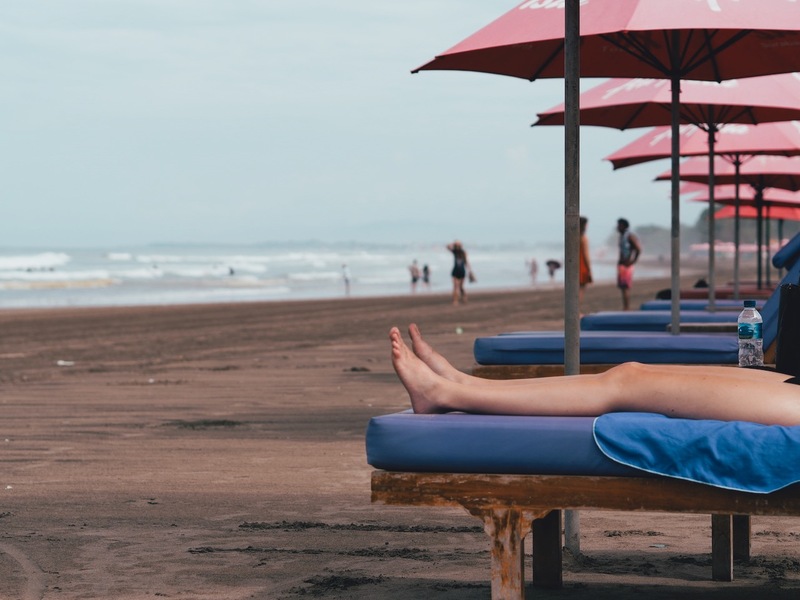 In conversation with travel addicts like Derek, Liz, Isaac, and countless other friends, all of them agree that cost (next to not having enough time) is the primary reason why they’re not travelling as much as they’d like (yes, even Derek). Yet while forking out the cash on plane tickets and accommodation is unavoidable, there are ways we can stretch our dollar and make travelling not just cheaper, but also more convenient. Especially if you’re the sort that likes to get away on short notice. For instance, most of us are used to switching out our local SIMs for prepaid cards on arrival or lugging along one of those Wifi Eggs (that you inadvertently lose anyway). M1’s Data Passport, on the other hand, uses the local data bundle of your mobile or mobile broadband plan to roam over 60 countries worldwide. And starting at $10 per month, Whatsapp/Telegram calls home to keep your family informed, or uploading humblebrag pictures to social media, become cheaper and more convenient. Best of all, your phone doesn’t become a brick when you’re overseas, when every function that requires data is unuseable. Travelling is great for getting away from everything and everyone for a bit, but it’s worth remembering that we all have responsibilities and lives waiting for us to get back to. It shouldn’t be seen an escape but an extra dimension of life—a safe space for us to refocus and reflect on who we are, what we’ve done, and where we’re headed. As ironic as it sounds, we leave to find ourselves and our way back home. Just remember: pics or it didn’t happen. This story is sponsored by M1. For more information on the benefits of M1’s Data Passport, click here.